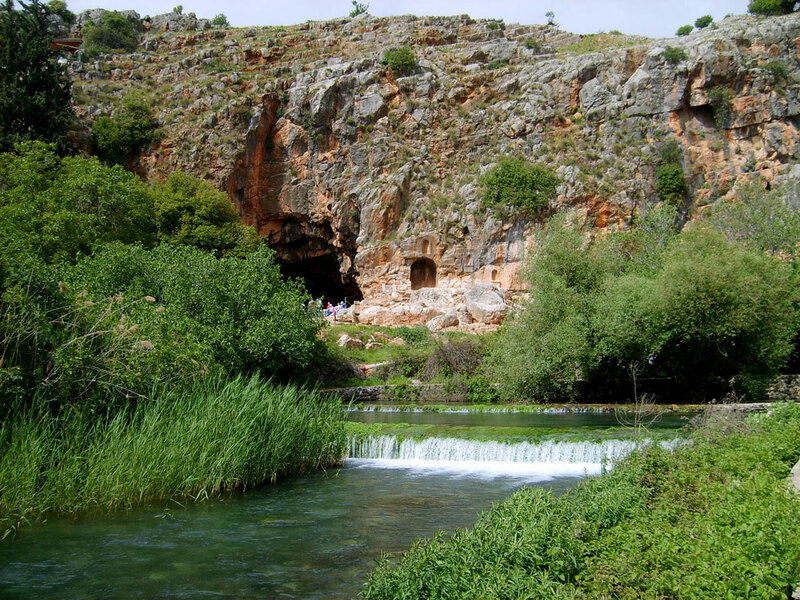 In MATTHEW Chapter 16 Jesus takes his disciples on a forty-mile hike from Capernaum on the Lake of Galilee up north to Caesarea Philippi - a place notorious for immorality and idolatry. 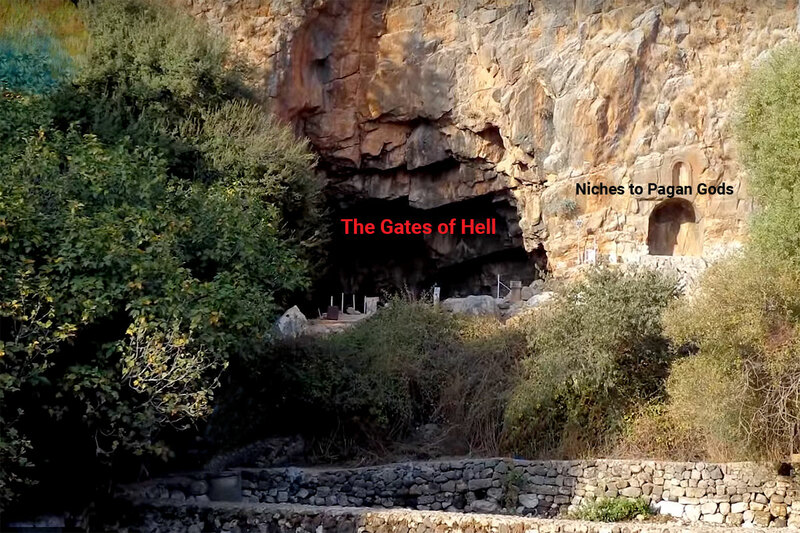 His disciples must have wondered why on earth he was taking them into enemy territory and in particular to a place known as The Gates of Hell (Hades). 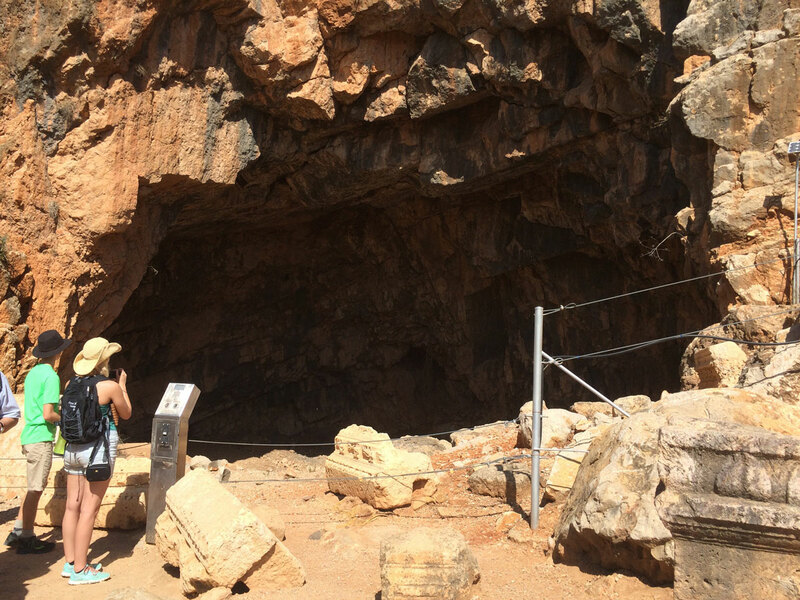 The place got its name from the enormous cave at the base of Mount Hermon with an almost bottomless pool associated with the worship of the Roman god Pan - half man, half goat and the origin of the satanic Baphomet worshipped still today by witches, pagan worshippers and satanists. 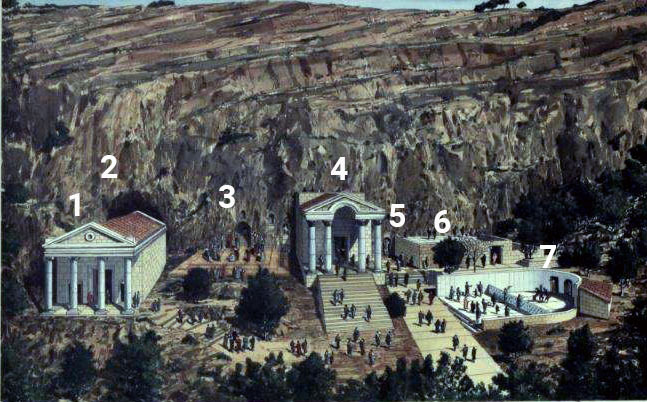 In front of the cave were numerous shrines to other pagan gods and godesses with their own statues in niches cut into the rockface or worshipped in elaborate temples as shown in the illustration below. The disciples could not have imagined Jesus would take them to the very Gates of Hell, but he did because he had an important message to give them and a question to ask them. Jesus asks them two questions to see if they are ready to receive the news that he's actually going to die. The disciples offer various rumours that have been going about. "Some say you're John the Baptist come back from the dead after being executed by Herod." "Others say you're Elijah or one of the prophets, like Jeremiah." "You're the Messiah (Greek Christos=Hebrew Mashiah), the Son of the Living God." "You're absolutely right, Peter. But those are not your words - they were divinely-inspired by my heavenly Father." 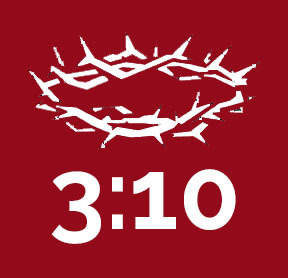 "You are Cephas (Hebrew=Rock; Greek Petros=Rock) and on this rock (Greek Petra) (what you have just said) I'm going to build my Church of called out ones. (Greek ekklesia=assembly of called out ones). "And do you know what - The Gates of Hell are not going to be able to withstand it/them." 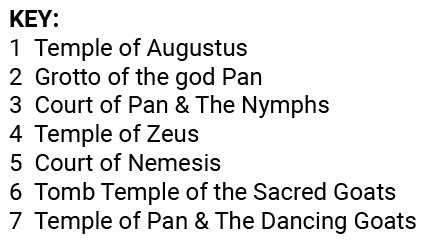 In other words, all other so-called gods and goddesses of all the different world religions are not going to be able to withstand the Church of Jesus Christ because at the Cross at Calvary where he was going to die, he was going to defeat sin, death and satan by rising again from the tomb and ascending back to heaven. It's interesting to note that Jesus said that on The Day of Judgement, God will separate the Sheep - his children - from the Goats. The sheep will be welcomed into heaven and everlasting bliss, while the goats will be consigned to hell and the domain of old "Goat Face" - satan himself. What a strange 'coincidence' that the worshippers of satan worshipped a so-called god with the head of a goat!